Harris, J. & Al-Bataineh, A. (2015). One to One Technology and its Effect on Student Academic Achievement and Motivation. 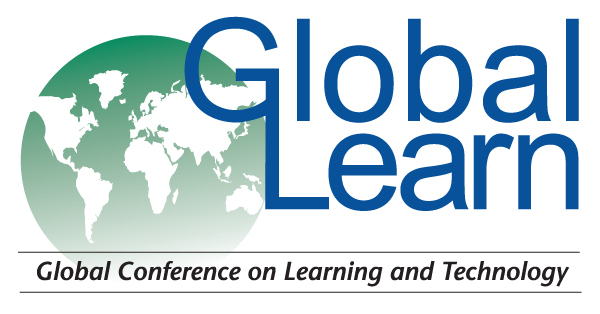 In Proceedings of Global Learn Berlin 2015: Global Conference on Learning and Technology (pp. 579-584). Berlin, Germany: Association for the Advancement of Computing in Education (AACE). Retrieved April 20, 2019 from https://www.learntechlib.org/primary/p/150906/. Amelink, C., Scales, G., & Tront, J. (2012). Student use of the Tablet PC: Impact on student learning behaviors. Advances in Engineering Education, 3(1), 1-17. Barrios, T. (2004). Laptops for learning: final report and recommendations of the laptops for learning task force. Retrieved October 18, 2007 from http://etc.usf.edu/L4L/ Brinkerhoff, J. (2006). Effects of a long-duration, professional development academy on technology skills, computer selfefficacy, and technology integration beliefs and practices. International Society for Technology in Education, 39 (1), 22-43. Cavanaugh, C., Dawson, K., & Ritzhaupt, A. (2011). An evaluation of the conditions, processes, and consequences of laptop computing in K-12 classrooms. Journal of Educational Computing Research, 45(3), 359-378. Donovan, L., Hartley, K., & Strudler, N. (2007). Teacher concerns during initial implementation of a one-to-one laptop initiative at the middle school level. Journal of Research on Technology in Education, 39(3), 263-286. Edwards, M. (2012). Our digital conversion. Education Digest, 78(1), 4-9. Johnson, D. & Maddux, C. (2003). Technology in education: A twenty-year retrospective. Computers in the Schools, 20(1/2), 1186. Keller, J. (1987). Strategies for stimulating the motivation to learn. Performance& Instruction, 26(8), 1-7. Shapley, K., Sheehan, D., Maloney, C., & Caranikas-Walker, F. (2011). Effects of technology immersion of middle school students’ learning opportunities and achievement. Journal of Educational Research, 104(5), 299-315.